Artists Workshop of Southern Oregon Archives - Art Matters! 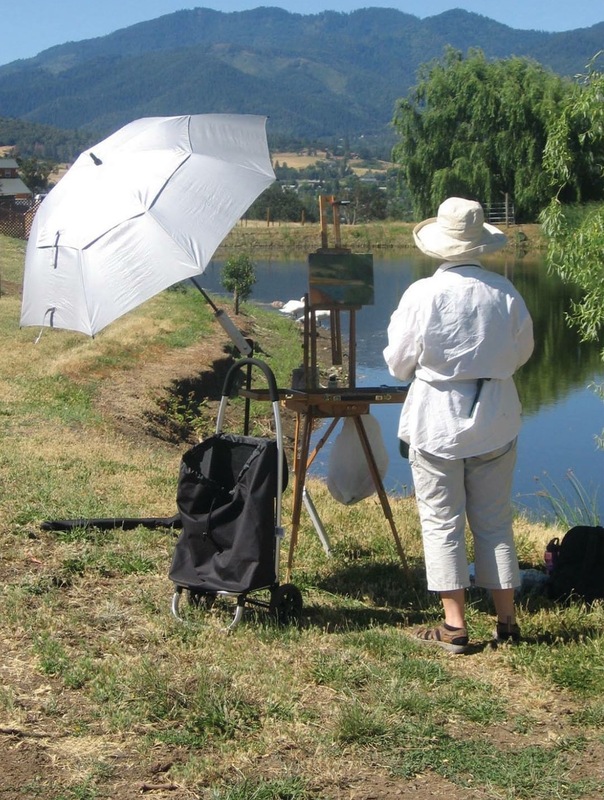 On Thursday, June 21, and Friday June 22 artists throughout the Rogue Valley paint en plein air as part of the Southern Oregon Plein Air 2018 event. The event is sponsored and produced by the Artists Workshop of Southern Oregon and Central Art Supply. Southern Oregon Plein Air 2018 concludes on Saturday, June 23rd, at Art Presence Art Center. Art Presence is located at 206 North 5th Street in Jacksonville, Oregon. At 9:30 am artists participate in a Quick Paint competition—super fun to watch! Quick Paint continues until 11:30 am. 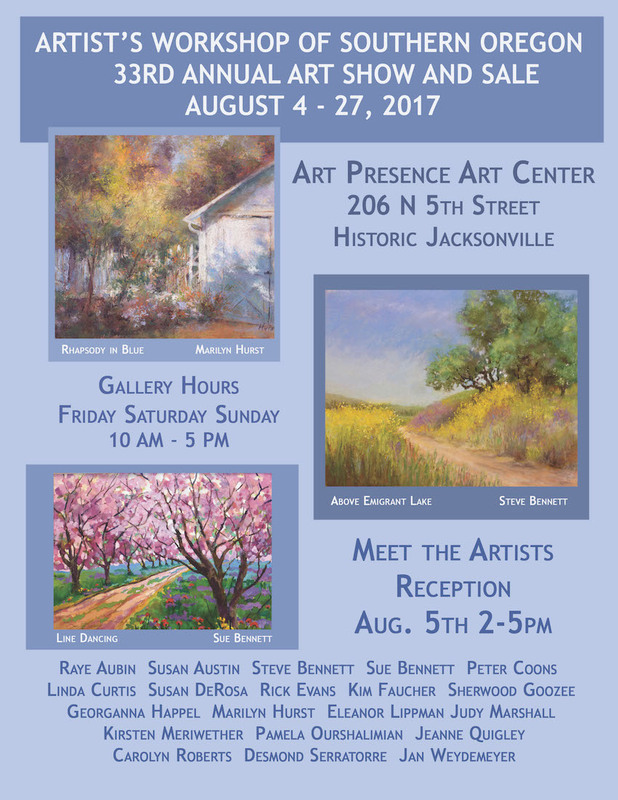 Paintings created for the “Petit Pleintures, En Plein Air” show will be on display on the front lawn of Art Presence all day long. Petit Pleintures is a show of small plein air works. All paintings will be 16″ AT MOST in any dimension and created in the last year and a half. Oils are painted on minimum 1 1/2″ gallery wrapped canvas with painted edges, and watercolors are properly matted and framed under glass or plexiglass. Don’t miss it! Petite Pleintures pieces are available for purchase June 23 from 10 am–5 pm ONLY!! All paintings submitted for jurying will be on display inside the gallery for the “En Plein Air” show. The En Plein Air exhibition of the work of southern Oregon’s finest plein air painters continues through July 29, 2018. Nationally known plein air artist and SO Plein Air 2018 juror Aimee Erickson demonstrates her plein air skills from 12:30–2:30 pm. This demonstration is open to the public. After Aimee’s demo, stay for the Awards Ceremony and Artists Reception from 3–5 pm. While mingling with talented artists, you should have many opportunities to discuss painting with the participants and perhaps even with the juror! This is your chance to see all the winning paintings. View the show and make arrangements to purchase your favorite.